Tamper Evident Labels | Data Graphics Inc. Tamper Evident Labels | Data Graphics Inc. Does your company offer products that contain a warranty? Tamper evident stickers may be the solution. These stickers can help prevent unnecessary costs that are incurred by performing repairs under warranty when the consumer has voided the warranty. When people come to us looking for tamper proof labels, there are two different types of labels they usually are looking to secure. The first are labels that resist tampering and the second are labels that completely discourage tampering by making it nearly impossible to do so. A majority of our customers are military contractors and need to meet regulations in the Department of Defense. Tamper evident stickers are created in a way that clearly shows that sticker has been tampered with. Usually, stickers or labels are placed across the products openings or outer shell. To get to the part of the product that contains the warranty (mechanical or electrical) the sticker must be removed. Normal stickers can be tampered with without any trace left to show. With tamper evident stickers, it makes it near impossible to not leave a trace. 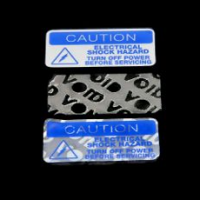 Most stickers that leave a tamper evident trace leave behind the word “void”. Some others will leave a similar message announcing the sticker had been tampered with. 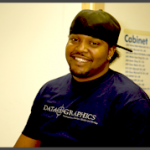 Data Graphics can provide you with a wide variety of printing options. Your tamper evident stickers can be in rolls or sheets. Your artwork can contain any array of many colors. Any information you would like on your tamper proof label can be applied. Our full-service art department is standing by to help you with any of your artwork needs. Our 25,000 square foot production facility located in Mount Dora, FL has the latest state of the art printing and graphics design technology. We are always committed to a constant review of our production to ensure shorter lead times, accurate production and a timely delivery to all of out customers. Our art department is located on site and can bring whatever art or label ideas you have and bring them to life. 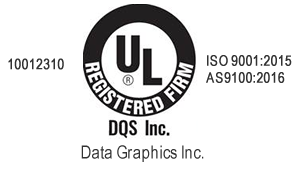 Contact Data Graphics today to learn more about our tamper event sticker and label solutions.